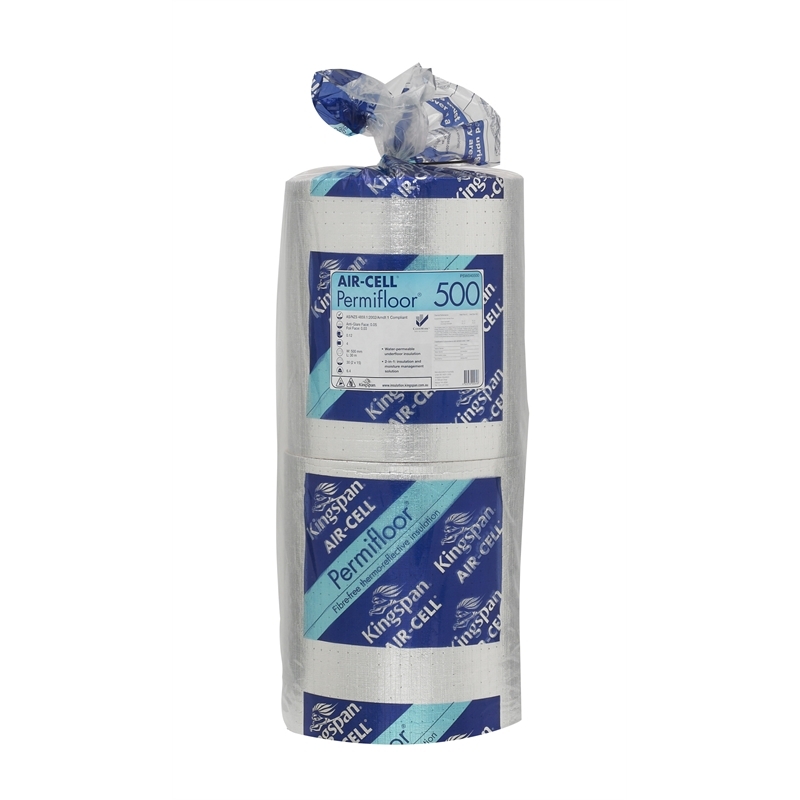 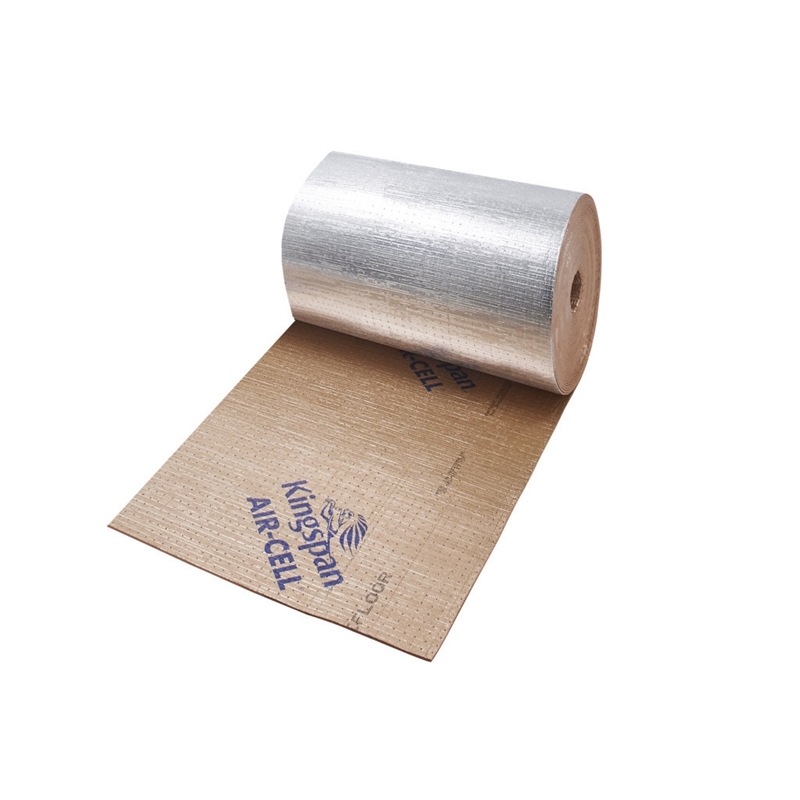 Kingspan AIR-CELL Permifloor® 500 is an insulation innovation designed specifically for suspended framed floor applications delivering a 2-in-1 insulation and moisture management solution. 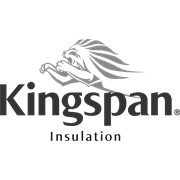 Kingspan AIR-CELL Permifloor® 500 is manufactured with a patented closed-cell, physically cross-linked foam structure sandwiched by highly reflective foil surfaces and perforated with tiny, evenly-spaced holes. These perforations allow water and vapour to permeate through preventing moisture that can often collect under flooring when using conventional underfloor insulation systems. It is pre-cut to 500 mm widths for a perfect fit between joists.